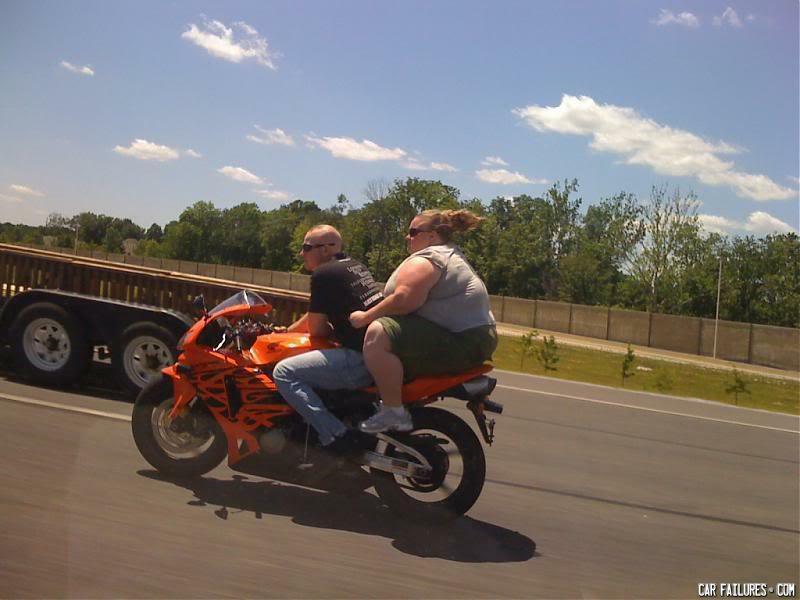 How did she even get her bigasss up on that bike? Step ladder? Dude, look out there is a FATFAIRY behind you! I'm just wondering how she got her fat a s s up there. Forklift? It was funnier with the sparks.